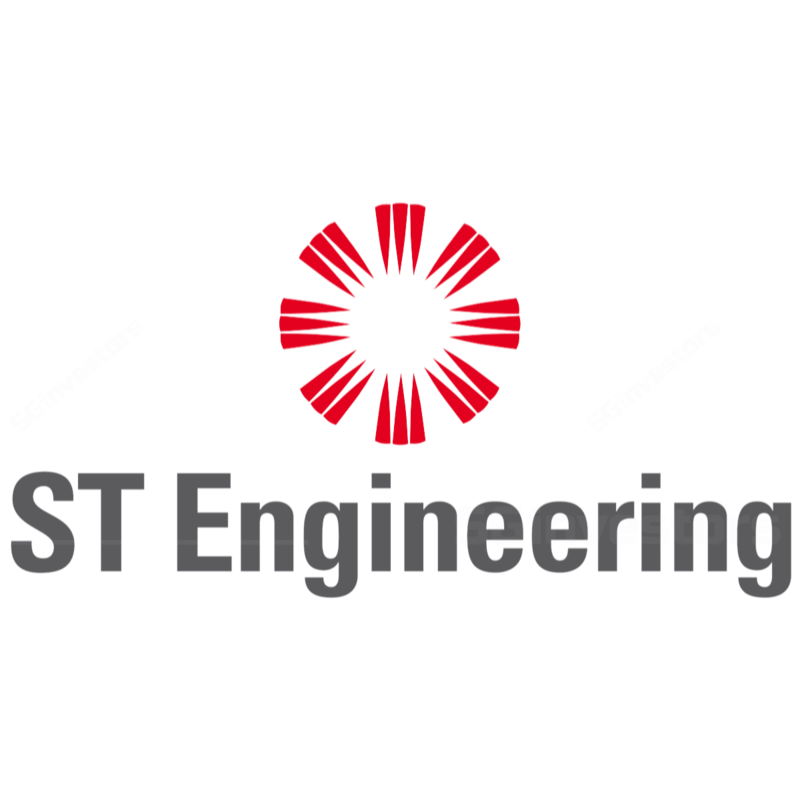 ST Engineering (STE SP) - UOB Kay Hian 2018-02-26: 4Q17 Earnings Aided By Tax Cut; Awaiting Earnings Fruition From New Initiatives; Downgrade To HOLD. ST Engineering (STE SP) - 4Q17: Earnings Aided By Tax Cut; Awaiting Earnings Fruition From New Initiatives; Downgrade To HOLD. 4Q17 earnings were uneventful and core net profit was dragged down by a steep decline in earnings from the marine segment. ST Engineering guided for higher growth at the aerospace division but lower earnings from the marine segment, implying group earnings could be flat in 2018. Until we see fruition from some of the recent initiatives and investments, we would be neutral on the stock. Downgrade to HOLD. Target price: $3.60. Entry price: $3.20. Lower tax rate masks an otherwise weak quarter, but orderbook remained healthy. That said, ST Engineering’s (STE) earnings were broadly in line as the marine division was expected to be weak. In 4Q17, STE recognised S$20.3m in deferred tax gains following a reduction in deferred tax liabilities. This came on the back of a 13ppt reduction in the US tax rate. While operating profit rose due to lower D&A and doubtful debts, PBT was dragged down by lower JV & associate income and finance costs. At group level, orderbook stood at S$13.2b, significantly higher than 2016’s S$11.6b. About S$3.8b of the orderbook is expected to be delivered in 2018 (2017: S$3.7b). This suggests scope for marginally higher top-line growth. The final dividend remained unchanged at 10 S cents, or a payout ratio of 91%. Marine: PBT dived 97% y-o-y in 4Q17, does not guide for improvement. PBT for the segment declined for the third consecutive quarter. The decline was attributed to higher provisions on a con-ro vessel due to more stringent regulatory spec requirements. The ship repair segment was the weakest performer as revenue declined 20% y-o-y while PBT dived by a whopping 491% y-o-y. Management expects weakness in the marine segment to persist in 2018, but expects defence-related work to provide some buffer. Aerospace: Sole performer as engine and component repair and overhaul (CERO) profits doubled. This was attributed to favourable sales mix and higher engine shop visits. PBT from the airframe maintenance segment fell due to a high base in 4Q16 when STE delivered several B787 pax-to-freighter (PTF) conversions to Fed Ex. Going forward, STE expects earnings from the segment to improve on the back of higher A320 and A330 PTF conversions and engine shop visits. STE also cited the development of unmanned aerial vehicles and the addition of a new facility in Pensacola as long-term growth drivers. Introduces a new focus area - health and medical technology. Given Singapore’s ageing population, STE believes it could improve operational efficiency at medical centres via robotics (use of its Aethon TUG robots) and data analytics etc. STE indicated it will provide greater information at an upcoming investor day. Electronics: Higher sales for 2017 but PBT margin fell. STE plans to pursue smart city-related contracts within and out of Singapore as well as market cyber security solutions. Land Systems: The 20% decline in 4Q17’s revenue was offset by higher PBT from the automotive and services segments. At net level, the division benefitted from the bulk of the S$20.3m gain in deferred taxes gains. For 2018, the division plans to deploy the TUG robots at hotels to improve laundry supply chain and also plans to develop autonomous buses for public road trials. While management is optimistic on long-term growth prospects, investors are concerned about the payoff periods of the new investments and as to whether such investments would be accretive amid increasing global disruptions. From our observations at the recent airshow, we believe STE clearly has advanced engineering capability in robotics, unmanned aerial vehicles (UAV) and cyber security etc. We are however unsure as to whether the returns on the new investments will be significant enough to offset potential earnings erosion from competitive and cyclical challenges. Hence, we downgrade STE to HOLD and recommend buying on dips. We lower our FY18 and FY19 net profit forecast by 5% and 4.3% respectively as we factor in lower revenue growth for the marine and land systems divisions. Downgrade to HOLD. We value STE on an EV/Invested capital basis and derive a fair value of S$3.60. We tweak our terminal growth assumption from 2.4% to 2.3% and raise our WACC from 5.7% to 5.9%, following increases in government bond rates.